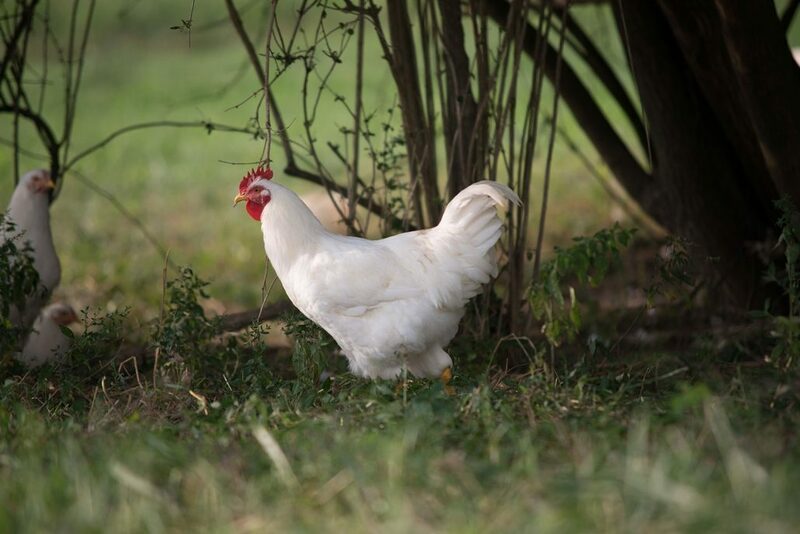 Our chickens are raised on pasture with the freedom to peck and scratch for grubs and bugs, exhibiting natural behaviors. HNG chickens are rotated to fresh grass daily. They feed on grubs, insects and natural forages along with a supplemental feed of corn and soy. As with all HNG animals they are never given antibiotics or added hormones. Chickens thrive on pasture where they can forage for their own food and move around with freedom. In return, they supply our pastures with some of the best fertilizer a farmer could ask for. 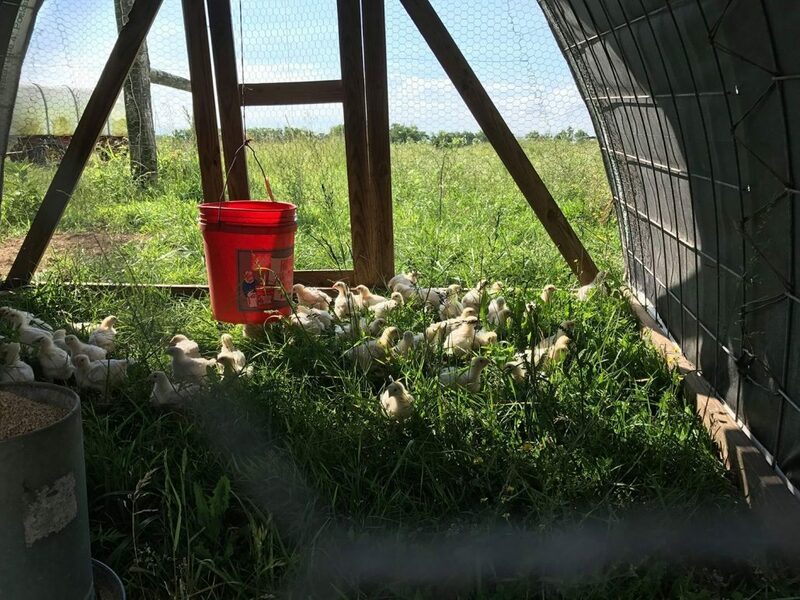 Poultry manure is an excellent source of Nitrogen, Phosphorous, and Potassium (NPK) helping increase soil organic matter, water holding capacity and beneficial bacteria. This makes poultry a key component of regenerative agriculture systems, leaving our land robust and enhancing soil for generations to come. There are no animal by-products used in our supplemental chicken feed. Corn and soy are the main ingredients. 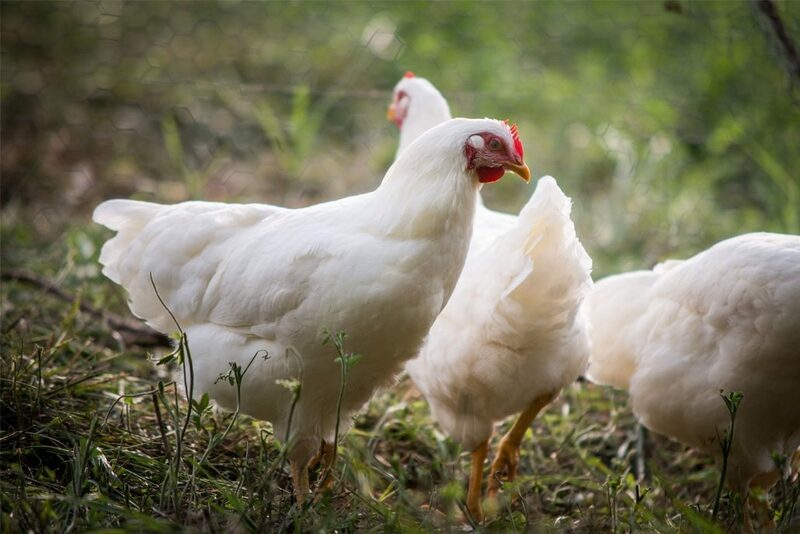 HNG Chickens are raised on pasture with the ability to exhibit natural behaviors and help us build quality soil. All HNG animals are never given antibiotics. If an animal is sick they will be treated and removed from the meat program as an animal’s health and well-being is of most importance. HNG animals are never given added hormones, we allow all of our animals to grow at a natural rate. We partner with regional farmers to support each other in achieving the standards of sustainable agriculture. All chicken farmers adhere to HNG’s protocol standards. 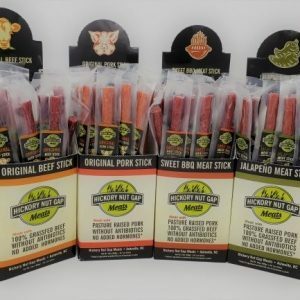 Farm visits and 3rd party audits are used to ensure all HNG meat is raised with care for the animals, respect for the land, and transparency for the consumer. Free Range is a loose term used to describe chickens raised without cages and with access to the outdoors. Pasture Raised means the chickens are raised without cages and outside on pasture (generally with a movable house) their whole life. 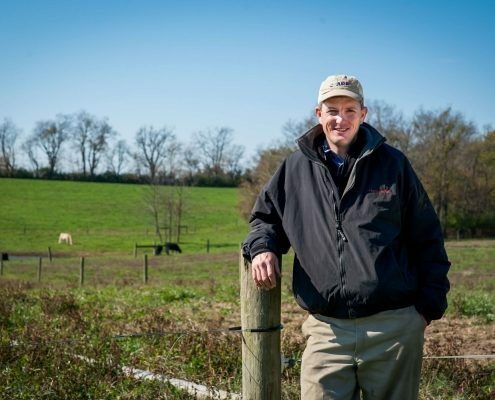 Every Thanksgiving season, the Fairview Farm raises hundreds of pasture-raised turkeys for the holidays. These birds can be reserved in advance with a deposit and picked up fresh from the farm the week prior to Thanksgiving.